the uprising | True Endeavors Presents: music, tours, tickets, mp3 downloads, concert pictures, videos, Madison WI. There’s hardly a bigger name in the world of reggae than Marley. The Barrymore Theatre will host not one but two members of this massively important musical family on Sunday night. 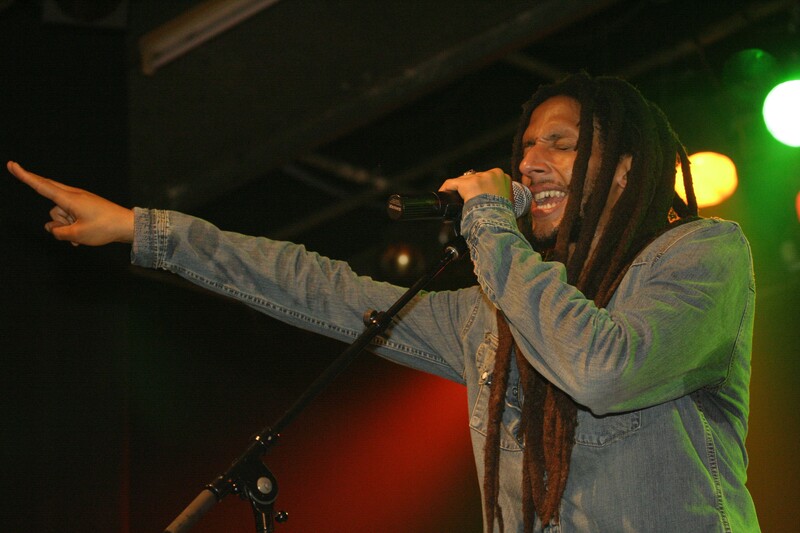 Julian Marley (and The Uprising) is set to take the stage for a show featuring brother Stephen following Early Vibes by Gully Bank Sound and a set from Javaughn. If you’ve got your heart set on witnessing performances by some of the finest reggae artists in the world but aren’t exactly rolling in the dough, we’ve got an opportunity for you to win a pair of tickets to this can’t-miss show. WIN A PAIR OF TICKETS: Those who buy tickets to this show will be helping to support a great cause: The Ghetto Youths Foundation, benefiting “underprivileged youths who fight the struggle to survive.” Social justice has always been a central theme to the music of the Marley family. Tell us what issue(s) are especially important to you. In other words, if you went on tour, what charity would you want a portion of your ticket sales to aid, and why? Get your comments posted by this Saturday, October 24th by 3:00 pm. A winner will be notified shortly thereafter.